Are you flirting up a storm on Instagram? Do you think finding love online means only swiping right on Tinder, Bumble or mobile apps? Is your online dating profile a bit stale and your inbox on the empty side? As a dating coach, I”m here to teach you how to flirt and find a date on social media, especially on Instagram. 1. Make sure your Instagram profile is public so people can follow you. 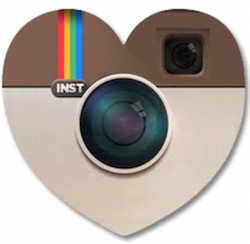 You’d be surprised how gun-shy some singles are about Instagram. They may post the most adorable selfies, but have their settings set to private, so unless you’re already connected as friends, you won’t be able to view or like their posts. If you’re single, toss out that fear of being in the public eye. It’s time to make your profile private and become strategic about what you post and who you decide to follow. 2. State in your bio that you’re single. Being single isn’t a disease. It’s just the relationship status you have at the moment. Often there’s a digital crush who might think you’re taken, even if he or she sees a photo in the arms of your favorite cousin. By stating you’re single, you’ve just opened the love floodgates to millions of potential dates. Get ready for the ride! 3. Follow back interesting people you think you’d like to date or at least be friends with. If your follower count is starting to rise, don’t just look at the number. Instead look at who your latest follower is and if they seem interesting at all, follow them back. If they start posting creepy updates, you can always unfollow, or even block them if necessary. 4. Start “liking” their posts, slowly, so you won’t appear like a stalker. Some singles like to use social media sites in a voyeuristic way. You peek, but you don’t click the like button. You never comment. You don’t even post, but you’re busy watching your followers’ feeds. It’s time to ramp up the flirting and take the digital plunge. Start slowly by liking someone’s posts, but don’t instantly like EVERYTHING this new crush posts or you may come across as needy, creepy, or even as a stalker! 5. Like your crush’s selfies. Instagram is the perfect home for dating in a selfie world. The reason people post selfies is, well, because they want others to “like” or comment on how great they look or how cool they are. If your crush is looking for attention, don’t be shy. It’s time to click the like button, so you can show up in their feed and get on their digital radar. It’s no secret that the ‘Stories’ features which appear at the top of your Instagram feed get the most action. Caption your photos, add a video for more engagement and you’ll rank higher on the dating totem pole than solely posting updates. 7. Start commenting on their posts and add the heart emoticon. Social networking works best when you remember to stay sociable. Slowly start commenting on his or her posts, but not all of them. If you see they are starting to comment on your posts, add in a heart emoticon to show you might want to be more than just friends. 8. Start using hashtags of #single #singlelife #love #relationships #dating so others can follow you. 9. Post romantic quotes about love. Feeling the love? Show it in your quotes. We post quotes with lyrics from love songs on Instagram, romantic quotes, and create some of our own to show we’re interested in love, big time. So should you. 10. Start searching for others with similar hashtags and start following them. 11. Reply to comments on your posts from someone you could have a crush on. So you’re in a groove on Instagram and your crush is commenting on your updates and selfies. Now’s not the time to back peddle and get shy. Click the heart button to his or her comments and reply back with an emoticon or xo. 12. Become a Tindstagrammer and Start Direct Messaging. Once you’ve developed an online rapport, it’s time to start those private chats. In an article on Mashable, writer Rachel Thompson claims that Instagram is the new Tinder – whether you want it to be or not. In addition, if the object of your digital affection ignored you or swiped left on Bumble or Tinder, now they have a public chance to write to you on Instagram. It can be viewed as tenacious or creepy, so if you don’t get a response, hold back from bombarding someone in Insta in multiple DMs. Whether you’re at a concert or the farmer’s market, views to videos just get viewed more often on Facebook and Instagram. Better yet, share it to your Stories and let your crush hear your voice. 14. Swap Digits So You Can Meet IRL. At the end of this love campaign, if you and your crush are in a groove on Instagram, it’s time to take the plunge and send a DM with your phone number to text each other and make plans to meet in person. After all, you won’t really know if you have offline chemistry until you meet IRL. Julie Spira is America’s Top Online Dating Expert and Mobile Dating Expert. She’s the Digital Matchmaker who’s been coaching singles online for over 20 years with her Irresistible Profiles.